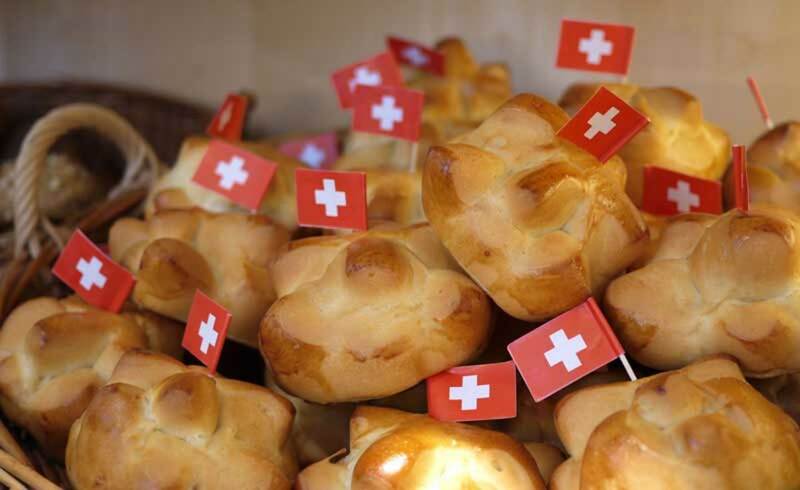 Swiss Cuisine includes a large variety of foods, with a specialty in cheese and chocolates, as well as being known as a place with a large variety of breads. In this article some famous, and some traditional dishes will take the spotlight, as you will learn their history, and in some cases there is a recipe attached. I find all of these dishes delicious, and a must try when visiting Switzrland, or when introducing a range of cultures in your home. Enjoy! 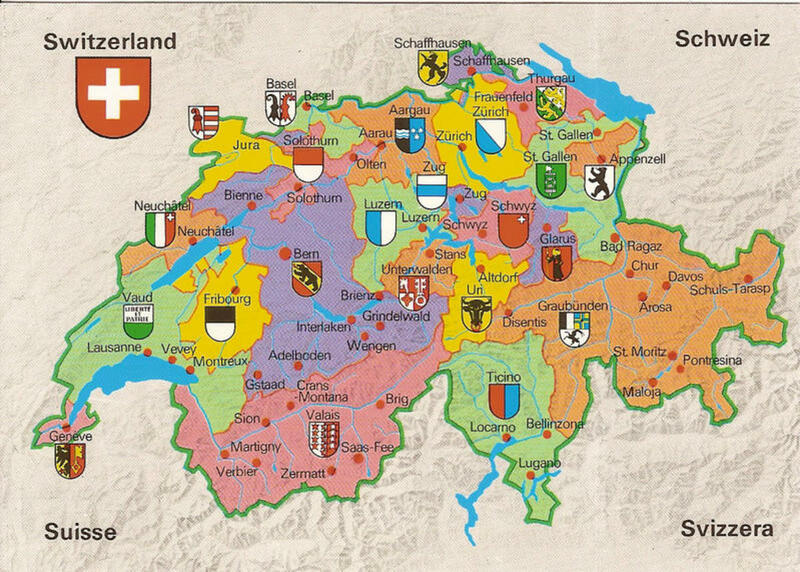 Switzerland and its Cantons (for reference of where the meals are from) - featuring Switzerland's National languages, where the north speaks multiple dialects of Swiss German, the east French, the west Romansh, and the south Italian. Aargauer Rüeblitorte, more commonly known as carrot cake, is from the Canton Aargau (located east of Basel and famous for its Roman ruins, called Augusta Raurica). Rüebli is Swiss German for carrots and torte is cake. 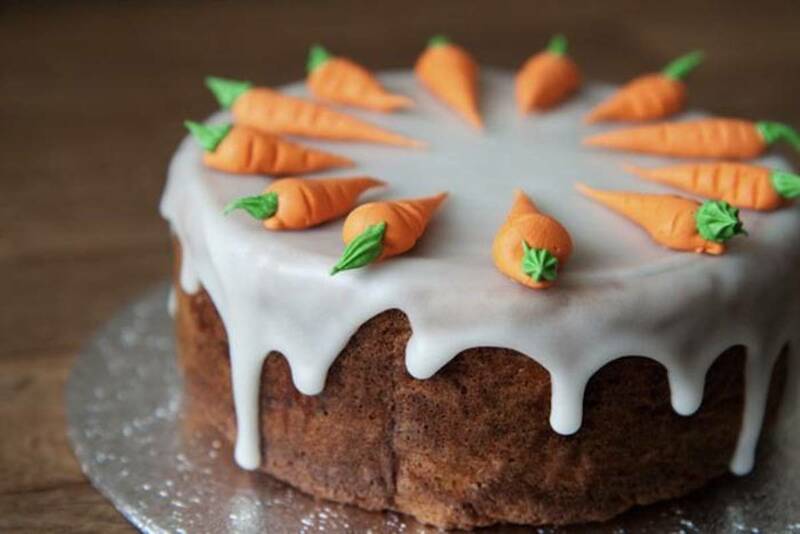 Carrot cake originated from the Medieval era, where sweeteners and sugars were expensive (and only available to the upper class), and carrot was used as a substitute. Recipes are found earliest in 1827, in a French cookbook that was published in England, however another 19th century recipe originates from the Housekeeping School of Kaiseraugst (located in Aargau). 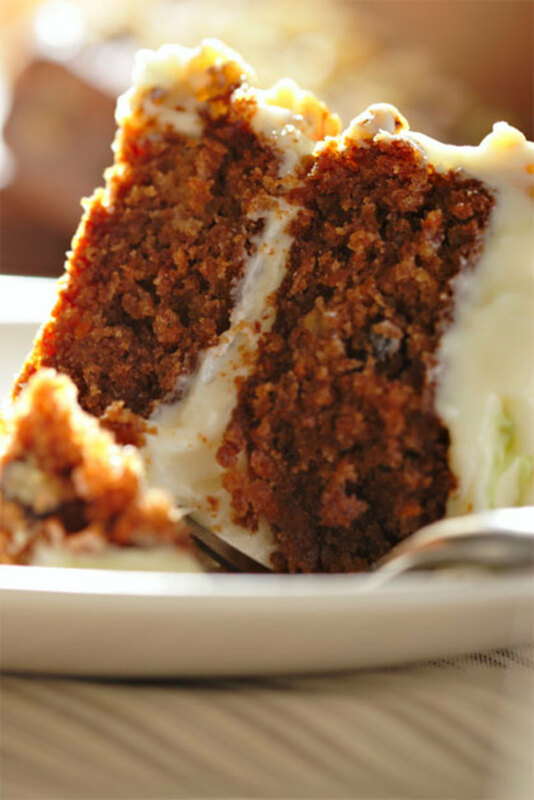 Fun Fact: carrot cake is one of the most popular cakes in Switzerland, according to the Culinary Heritage of Switzerland. Carrot cake is delicious, and can be made using a variety of different recipes and styles - I've had traditional, some with pineapple, nuts, chocolate, and buttercream. I personally think the traditional is the best, however I recommend that you try all! Appenzeller Biber is a pastry like cookie that originates from the Canton Appenzell (located in Saint Gallen,far east of Switzerland). The name biber came from piper, which translates into pepper or spices. There are two variants of this cookie: Biber, and Biberli. In Swiss German -li is used to indicate something small (so a biberli is a small biber). The first proven record of the appenzeller biber was in the 16th century, with similar creations spreading out across Central Europe, however there have been records of Swiss Bibenzelter (biber backers) in the 14th century, where the recipes from Basel and Zurich were handed down. 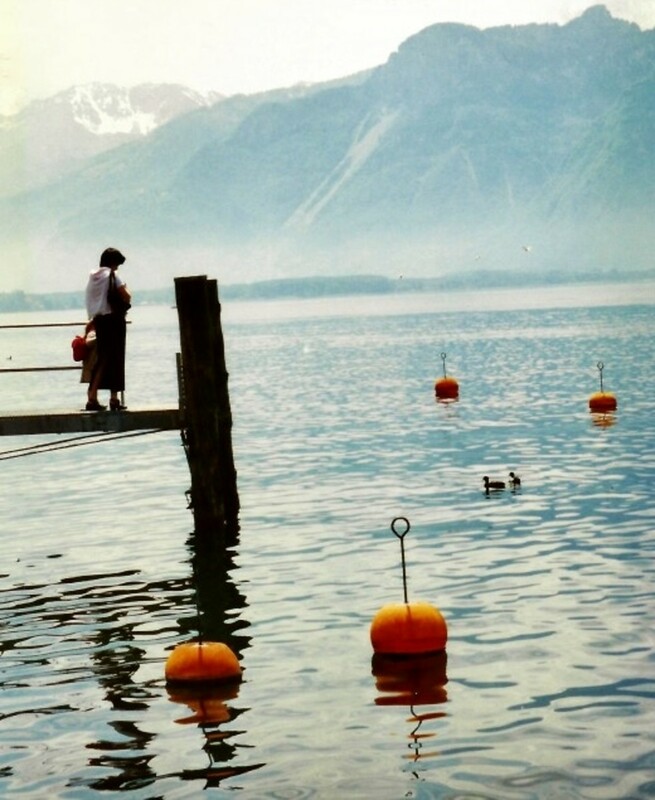 If you're living abroad from Switzerland, the chances are high that there are no Biberli to be found anywhere nearby. What can you do? Of course, you can always try yourself at baking some of these delicacies yourself! 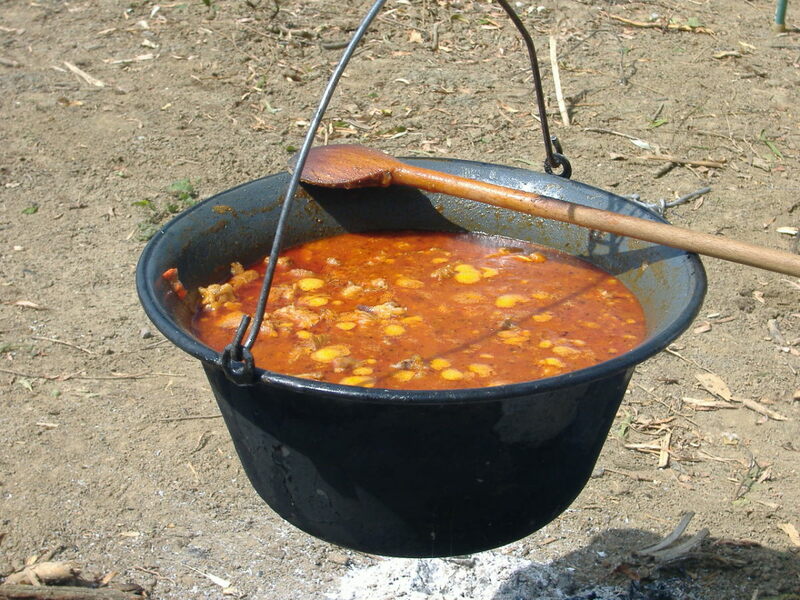 This recipe for making Biber closely follows traditional methods. The recipe also originated from Migusto, a Swiss cooking club part of Migros. 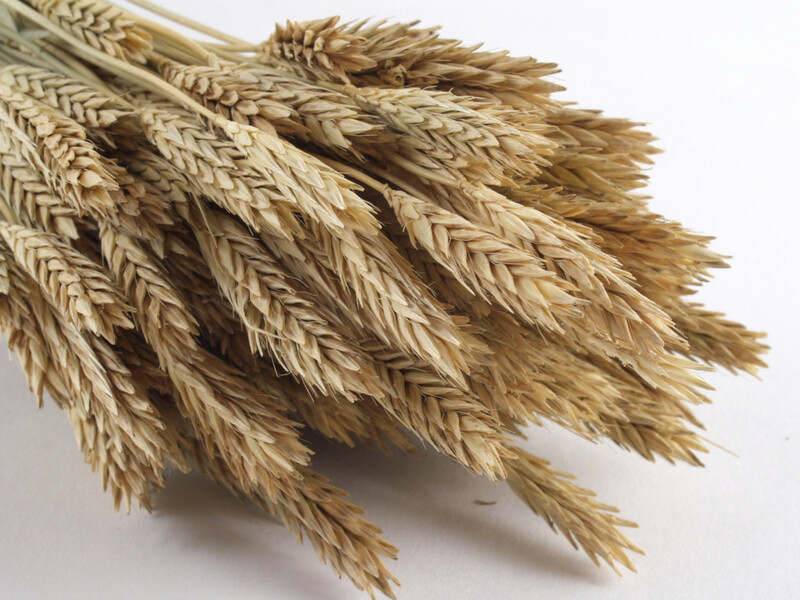 Müesli is appreciated worldwide by many people, and is eaten for breakfast, however few know that it was developed by an Aargau doctor in 1900 as a part of a diet plan. 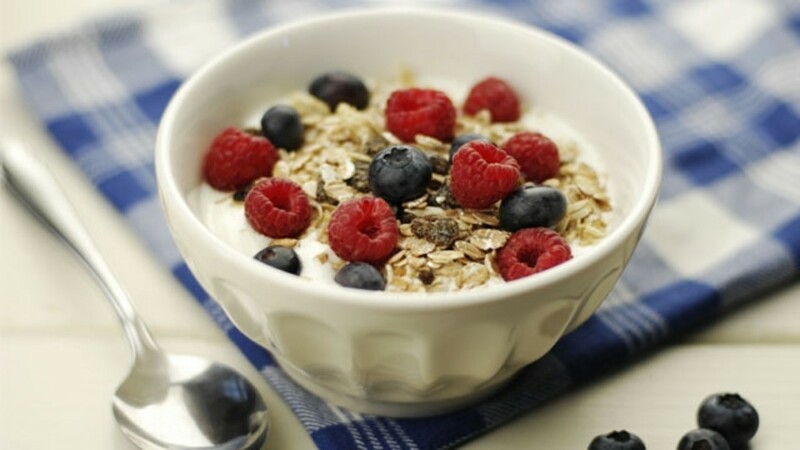 The aim was to increase nutrition (especially for people to eat more fresh fruit), as the müesli is normally topped with fruit and yogurt. Müesli is made out of oats, with fruit or dried fruit, and can be soaked in milk, yogurt or fruit juice. The meal s similar to the English porridge, however the oats are only soaked instead of being cooked. Switzerland's cheese is almost as famous as it's chocolates, however chocolate's steel all the glory. When visiting Switzerland, there are certain cheeses that you should definitely try, as well as some traditionally famous cheese-based meals. 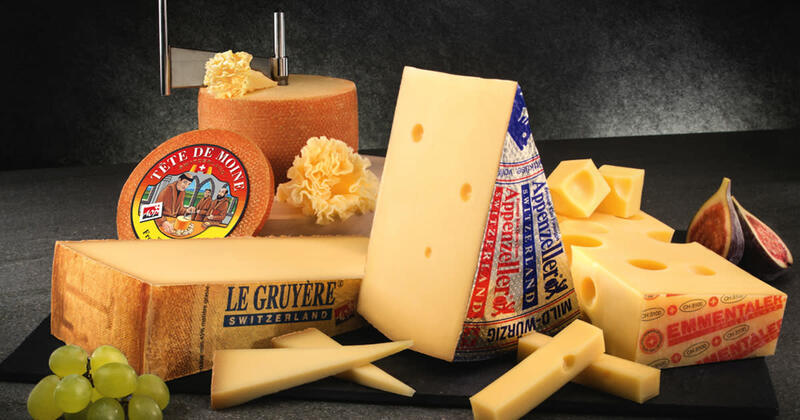 Gruyère makes cheeses with a variety of different strengths, ranging from 3 months up to 12 months. 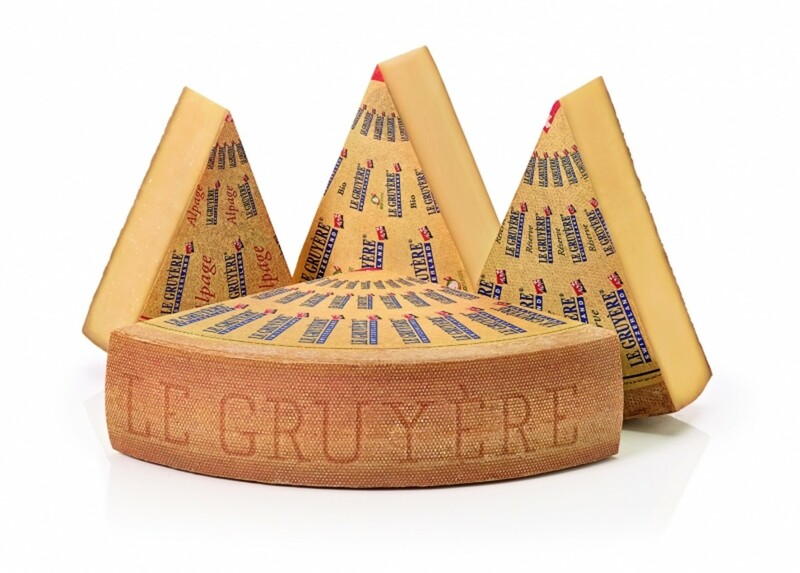 Gruyère is a personal favorite of mine, and is named after the region it is from. It is located in the Fribourg canton (French speaking), which is a bit north-east from Laussane. Gruyère cheese is a part of an ancient cheese-making tradition that can be traced back to the year 1115. It first received official recognition in 1762, where it was named after the place of origin, in order to prevent fabrication of the cheese. As trade and industry increased over the years, the well-tested recipe was perfected until it became the cheese that is known today. There is a cheese factory located near the Gruyère castle and the Cailler Maison, that is open to tours, and there is a small cheese shop. Definetly reserve a day for those 3 locations! Appenzeller is cheess brand, located in the Canton Appenzell (in the middle of Saint Gallen, and far east of Switzerland). It is also a hard cheese, but it is milder compared to gruyeré. 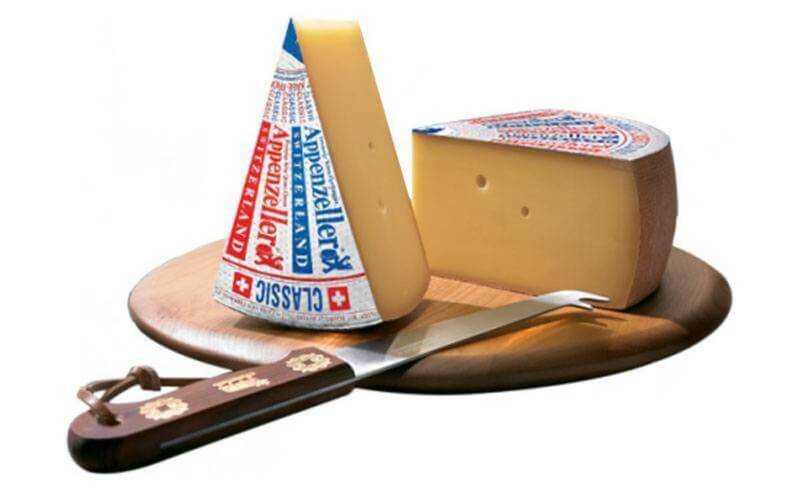 The Appenzeller cheese has been made for over 700 years in the Alps, and the recipe has been perfected over time. 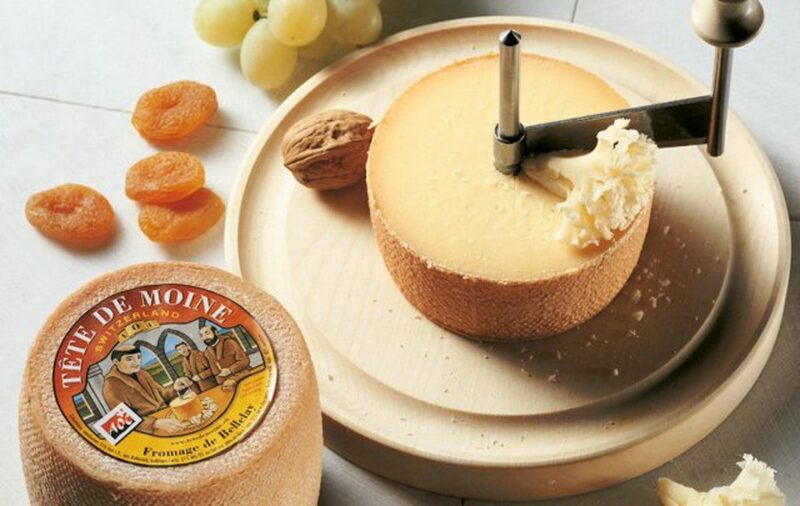 Tête de Moine is another Swiss cheese, with the name being French for Monk's Head. The cheese came from the French speaking region of Bern, and is a special type of cheese that is served using a cutter to make special cheese flowers. The monks of the Abbey Bellelay were the founders of this cheese, and records of it date back to as early as 1192. The cheese was initially called Bellelay cheese, however it was renamed to Tête de Moine at the end of the 18th century. Älplermagronen means Alpine or Herdsman’s Macaroni, and is said to be the origional form of mac and cheese! 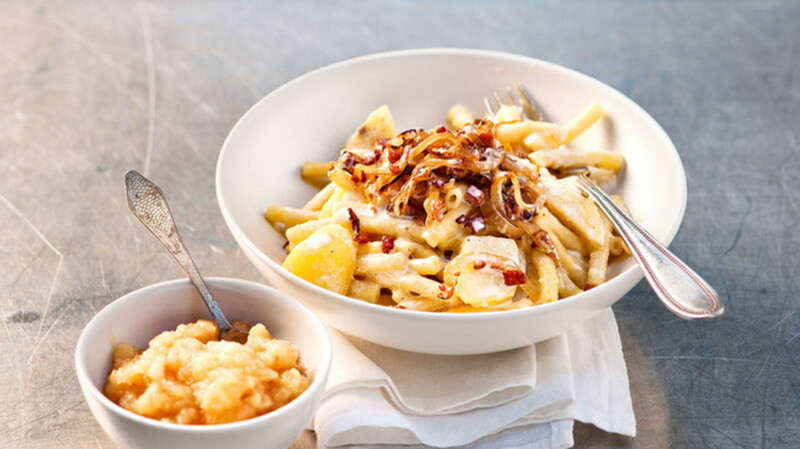 The dish is typically made using Gruyère cheese, with fried onions, chopped potatoes and apfelmus (or apple sauce) on the side. Älplermagronen was created as the farmer living the alps, had to carry supplies up to his hut. The farms were normally made up of cows and sheep. Dry pasta was a light form of carbohydrates to carry up the mountain, and the farmer made his own cheese. So there was a logistical reason behind the creation of this simple dish. If you are curios about mac and cheese, originating as Älplermagronen in Switzerland, then follow this link to a BBC article going into a lot more detail about the history of this famous dish. The Swiss Alpine herdsman’s Macaroni with applesauce are like holes in the Emmental. It took a long time, before this special meal found its way from the pasture down to the valley. This recipe uses the traditional ingredients, and the end result is absolutely amazing! 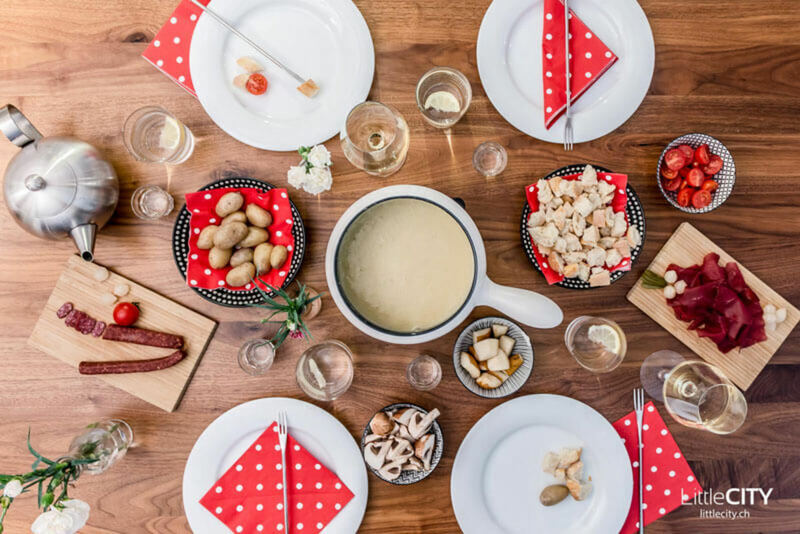 The traditional version of Fondue, is a cheese based meal, once again mainly gruyère, which normally also contains white wine (most of the alcohol is evaporated, however water can be used as a replacement). Traditionally bread is dipped into the fondue, but other savory items such as potato and meat can also be eaten with this cheesy meal. 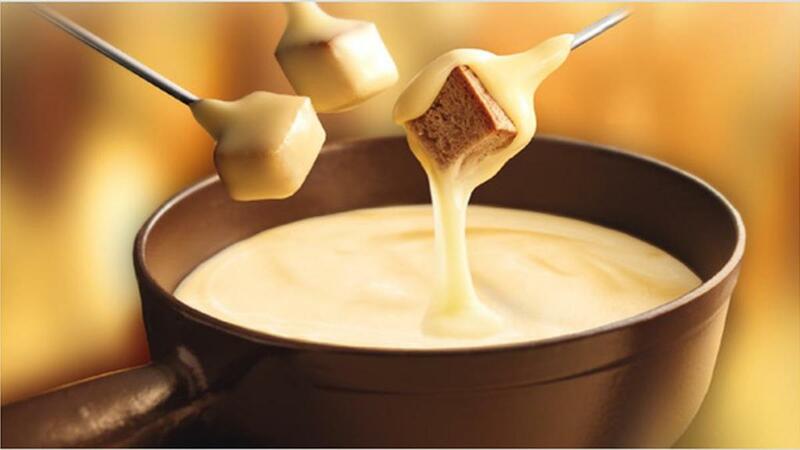 Another form of fondue that has come about is Chocolate Fondue, made of a mixture of melted dark and milk chocolate. I recommend eating it with marshmallows and strawberries, however it is delicious with any fruit. Steamed red-skinned potato chunks, grilled or toasted Tuscan bread cubes and pear slices are all great for dipping in the melted cheese. Be sure to stir when you dip. I chose this recipe, as it is made using the traditional ingredients, and provides some suggestions on what fondue can be eaten with. Raclette is a dish, where a cheese is melted, and then scrapped to be eaten with a variety of items; bread, potatoes, meat or anything else. The cheese normally used is gruyère, however any melted cheese can do the job! 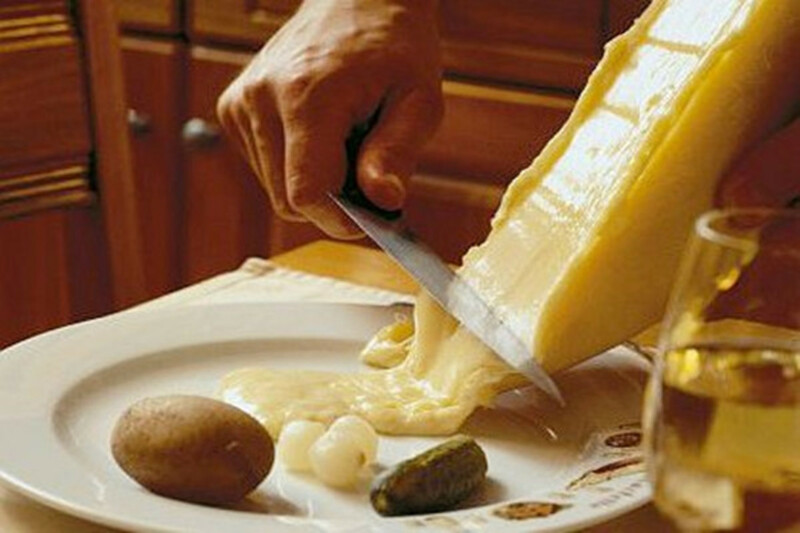 Raclette originated in Valais, a one of the most southern cantons, and just below Bern. 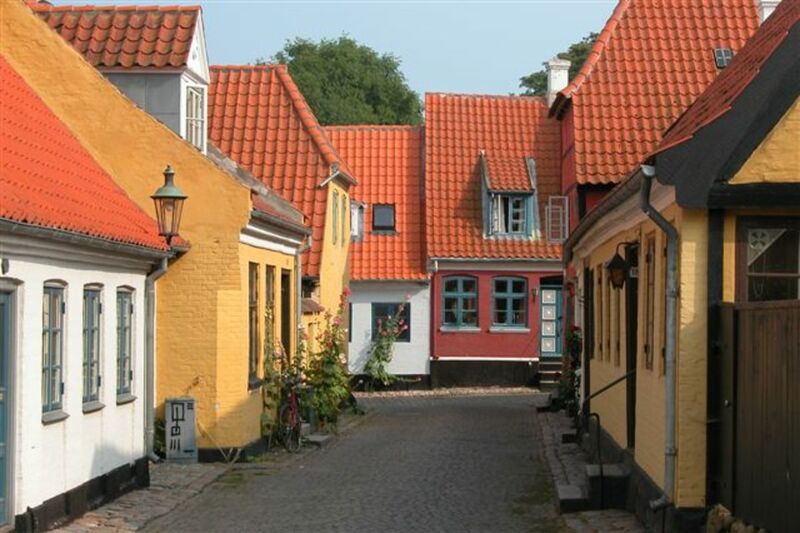 The name, came from a regional French dialect, racler, which means scrape. 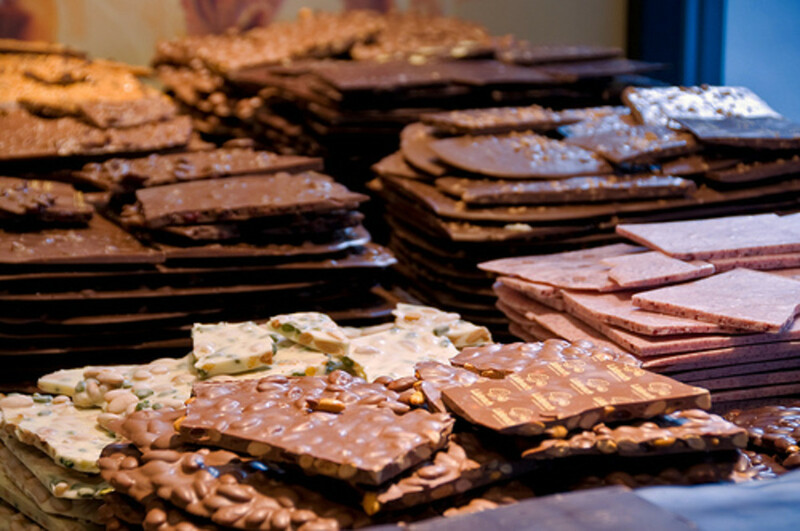 Switzerland is known for a variety of very special chocolates, and their brands are worldwide successful. Some of their more famous brands include Lindt, Nestle and Cailler. Below is an article that goes into more detail about the history of the famous chocolate brands, and the location of 3 different chocolate factories that allow visitors. Did Someone Say Swiss Chocolate? When it comes to chocolate, Switzerland’s chocolate is the best in the world (sorry Cadbury fans), so learn about the history of chocolate and some different brands! Läckerli are special spicy biscuits that are unique to Switzerland, and a specialty of Basel. 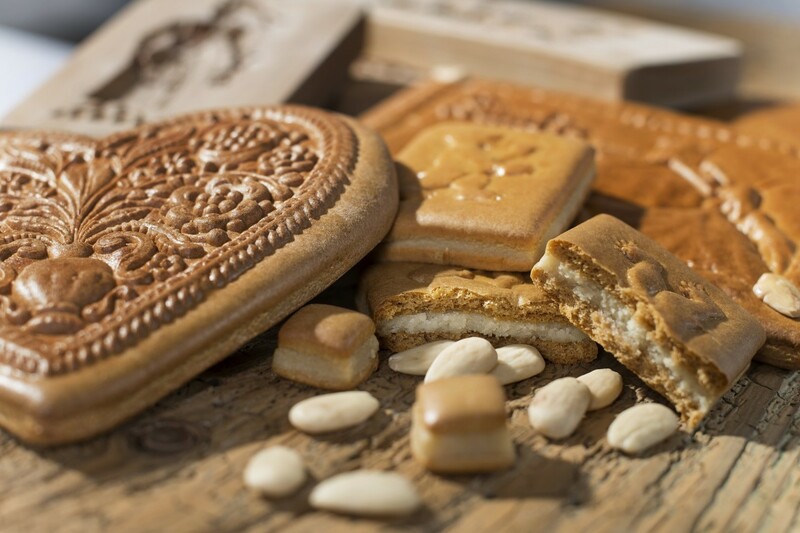 The term Läcker comes from the German word Leckerbissen, which means delicacy or treat, and -li is once again used to signify it is small. They were created about 700 years ago by a local spice merchant, and are available for purchase all year round. 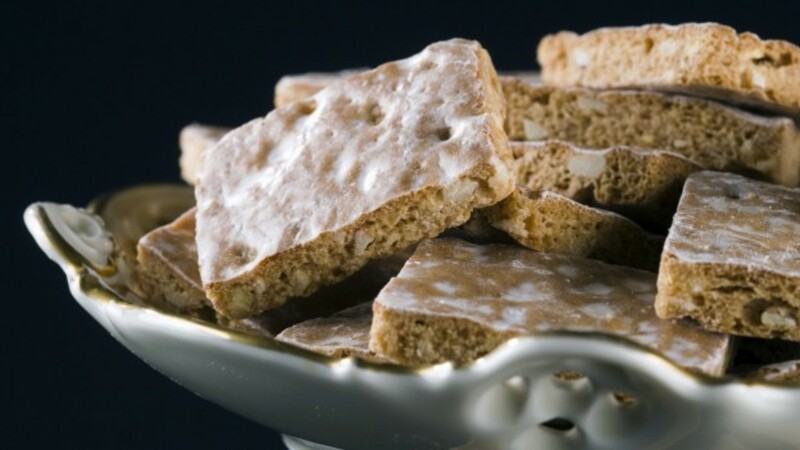 The main ingredients used to make them include honey, hazelnuts, almonds, candied peel (candied/crystallized fruit), and Kirsch. 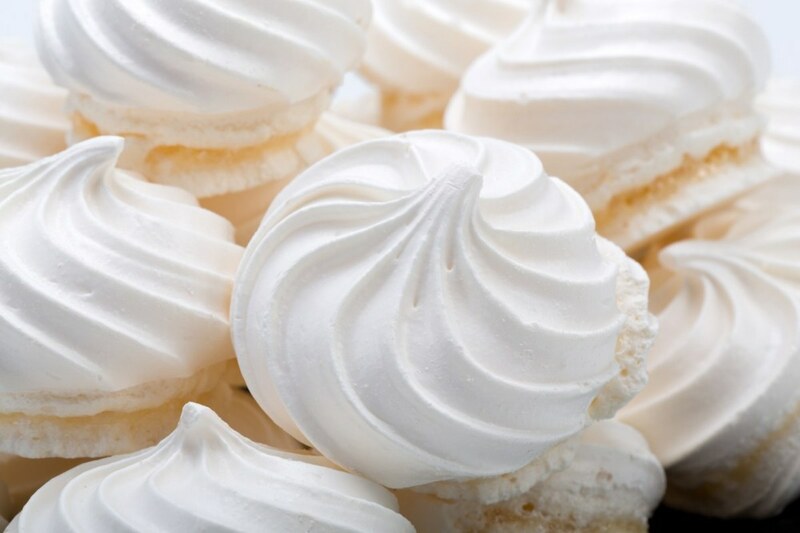 Meringues are a dessert that are made from whipped egg white, sugar, and some extracts (such as vanilla, almonds, coconut). They originated from the Swiss village of Meiringen (in the canton of Bern), which the name pays tribute to, and where later developed by the Italians. Unlike other meringues, Swiss meringues are whisked over a bain-marie (a type of water bath) to warm the egg whites, and then whisked steadily whilst it cools. This forms a dense, glossy marshmallow-like meringue., which is then usually baked. Some other Meringue types include French, Italian and Vegan. 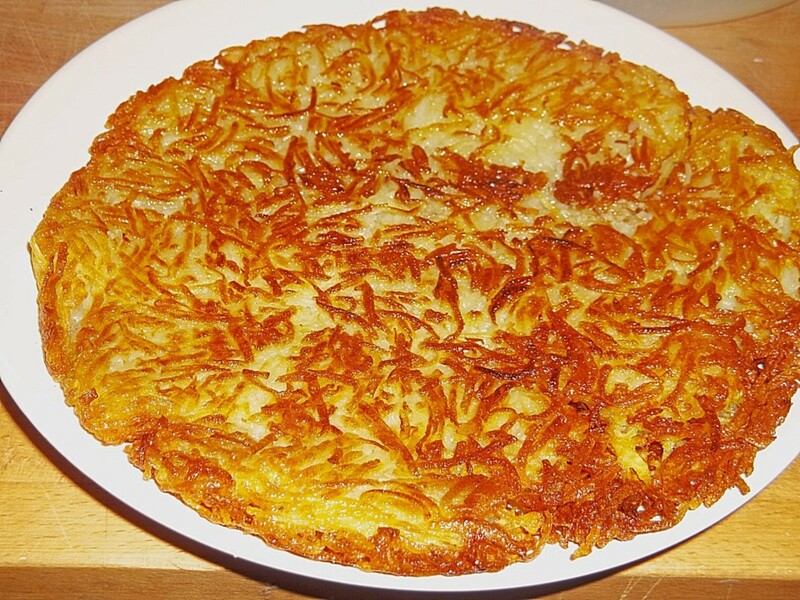 Rösti came from the canton of Bern and is considered a Swiss National dish. It is normally made using grated potatoes which are fried into a patty shape, and can also include bacon, onions, cheese, apples or a variety of herbs. Originally this dish as prepared as a part of a farmers' breakfast, in order to fuel them for the day (as potatoes contain carbohydrates, which give you energy). The date of origin is unknown, however there are records that predate the discovery of America (so before 1492). Swiss Rosti cakes made with grated potato and Gruyere cheese, a simple method to making the delicious dish. Vermicelles is a southern Swiss speciality made from chestnuts, butter, and sugar. The vermicelles dough is pressed through a perforated sheet to create about 15 cm long "worms" of vermicelles. 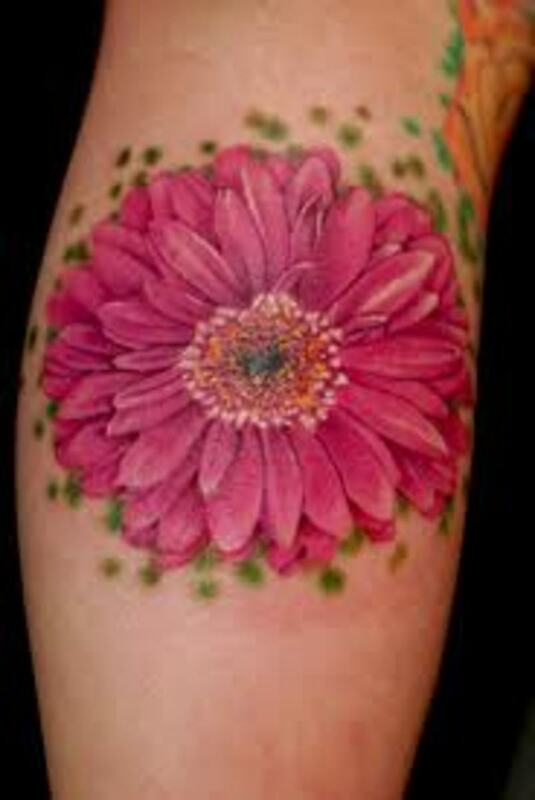 The name has Latin origins, as "vermiculi" is llatin for "worms". Vermicelles is believed to have originated in Lugano (an Italian speaking part), which is located in the southern canton of Ticino. The first recorded mentioning occured in the late 19th century, and began to appear in Swiss cookbooks in the early 20th century. Zopf is a type of bread made from flour, eggs, butter, milk and yeast. 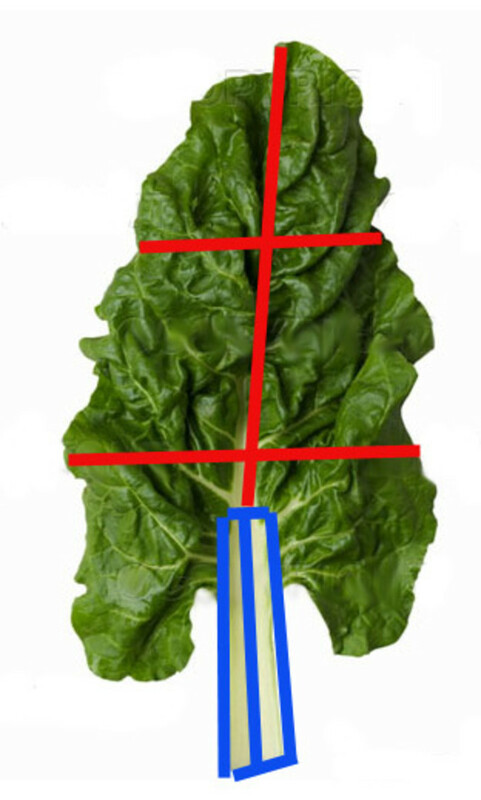 The name, comes from the German word 'Braid,' which pays tribute to it's unique shape. It is normally used as a breakfast bread, and traditionally eaten on Sundays, but it is also great bread to make French Toast. Zopf originates from Switzerland's capital, Bern. It is believed that the Zopf was from an ancient tradition, when widows had to cut off their braided hair, to lay by their late husband's grave, which later was replaced with a loaf of Butter Zopf. This Recipe for Zopf is from Betty-Bossi, a Swiss cookbook brand. Easy step instructions, with visual aids for braiding the dough. Zürich Geschnetzeltes, is Swiss German for "Sliced Meat, Zurich style," and came from Switzerland's banking canton. 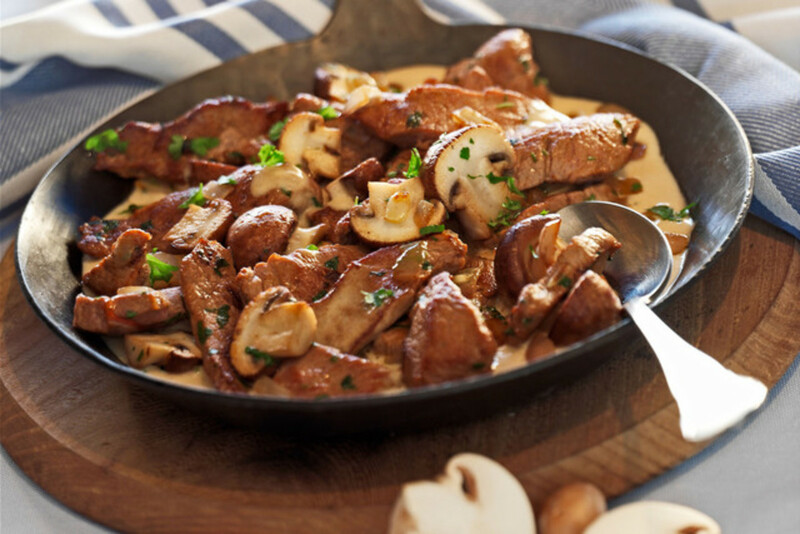 It is a meat dish, similar to Beef Strogonov, however with more creamy sauce and mushrooms. It is normally served with Rösti, however it can also be served with Spätzle (a German egg-noodle), Tagliatelle (an Italian pasta), rice, or mashed potatoes. The first mentioning of the Zürich Geschnetzeltes in cookbooks was in 1987, however veal-based recipes were common in the Alpine region in the 19th century. Which one of these foods have you tried? Which is your Favorite? Which one would you like to try? Let me know in the Comments! Good job Monique! Reading this interesting overview of Swiss cuisine makes me appreciate how much the Swiss have contributed to world cuisine. Also, it’s quite amazing that these recipes go back so far in time. I’m hard-pressed to know which one I like best- a little bit of each would be good!